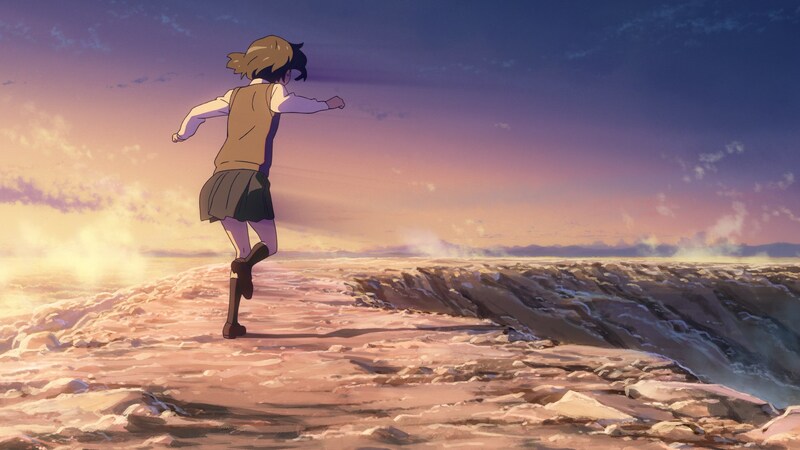 Makoto Shinkai’s Your Name achieved unprecedented success, and that warrants an extended look at the film – what it represents for his own career, as well as the industry as a whole. A dozen doors opening and closing, presented with the exact same layout. If you count other shots not quite framed the same way, the total more than doubles. 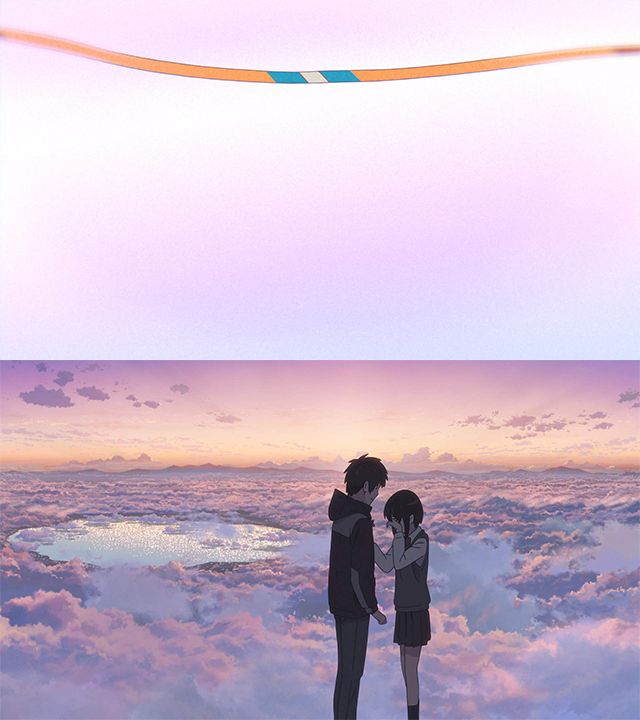 Don’t get me wrong, the main motif in Your Name is by all means Mitsuha’s ribbon; it doesn’t only represent the red string of fate linking the fated soulmates, but also borrows the colors of the magical moment of sunset that finally let her meet Taki. 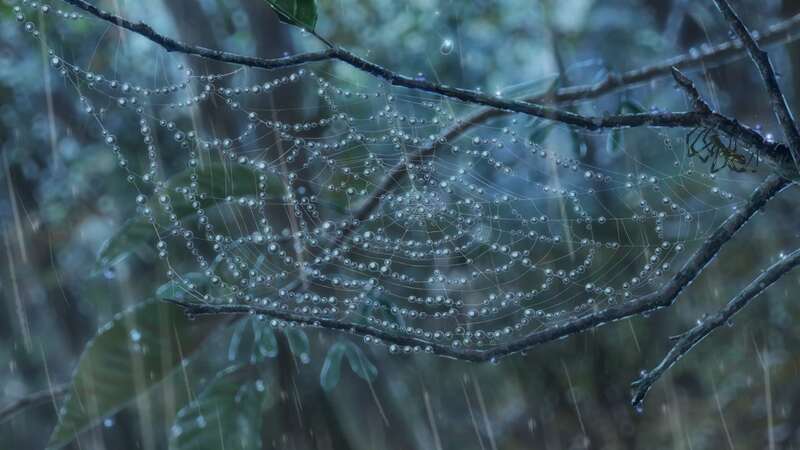 It physically connects them from the beginning of this tale, and the thread imagery is even linked to the film’s concept of time as braided cords. And yet, these doors feels just as ever-present. While trying to find concrete narrative readings on every element is a misguided approach, nothing happens by chance in animation. 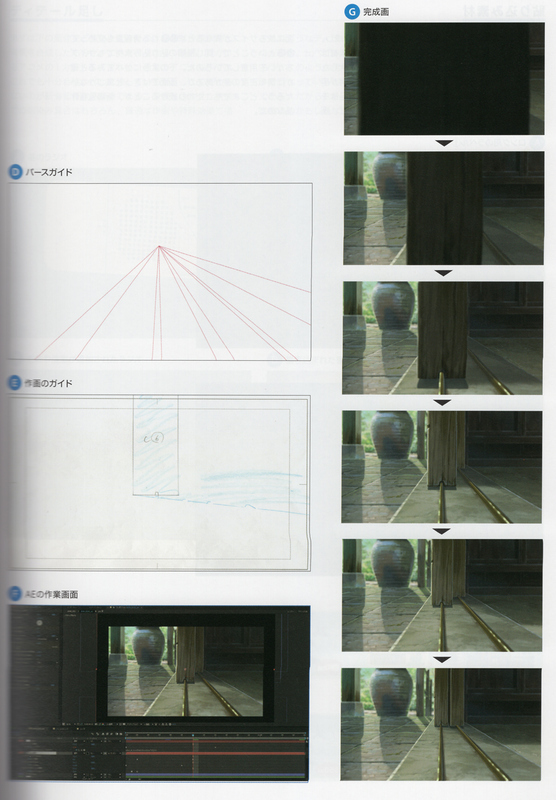 The movie isn’t filled to the brim with gates because Makoto Shinkai’s camera happened to be filming them, he needed a drive to storyboard them in the first place. What is it then? The first reason might be more pragmatic than you’re expecting. 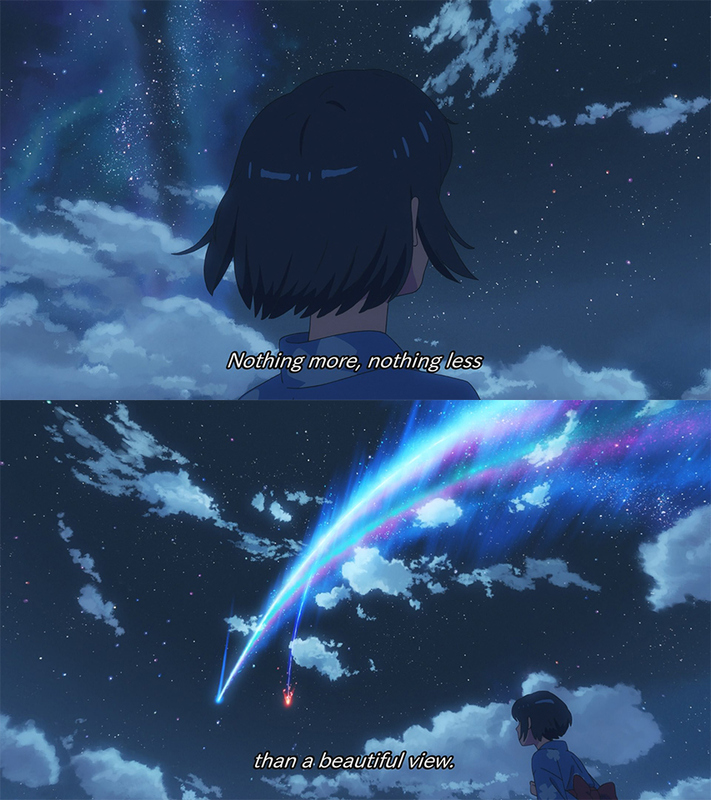 By Shinkai’s own admission, Your Name attempts to have a constant brisk pacing that prevents modern audiences from getting sidetracked and looking at their phones. This means not only constructing a dense film without extended downtimes, but also paying great attention to its flow. These snappy door transitions, even accompanied by satisfying sounds, are yet another mechanism to constantly grab your attention. There’s great potential in silence and quietude, but this movie manages to constantly you nudge for attention and not come off as an overwhelming pest. Perhaps more interesting is their significance in a movie like this. 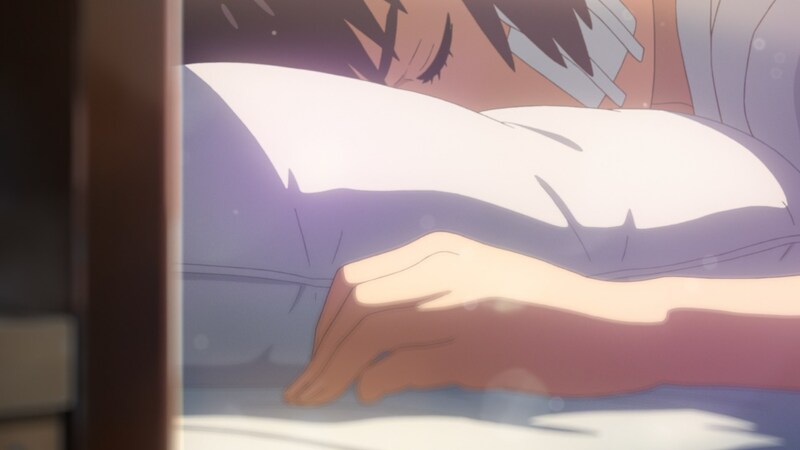 Doors are both separation and the means to connect, so the ties to Mitsuha and Taki’s situation seem easy to support. Maybe it’s too tenuous of a connection for your taste, but to reinforce this reading there’s the bridge imagery, which feels by all means coded in a very particular way. Curiously enough, and despite being another mechanism meant to link two elements, bridges are actually a sign of failure to connect in this movie; every farewell, every missed meeting, are set on a bridge. I don’t feel like doors have either positive or negative connotations in a similar vein, but all things considered, their ubiquitousness is at least an immensely appropriate coincidence, if not outright deliberate. Even on an individual level, these cuts are surprisingly telling. While they all move, none are exactly animated – they’re all sequences made in After Effects with assets crafted by the art department rather than by the team of animators. And that happens to be very representative of Shinkai’s own career. While as a young indie artist he did animation work, it was more out of necessity as a one-man army creator than out of desire to focus on that. He quickly dropped out of any animation roles, while his hands-on work when it came to other aspects continued; he kept on commanding the backgrounds as art director until 5 Centimenters per Second, handled the color design until Garden of Words, and as of Your Name he still has a direct hand on matters like editing and the composite that most directors wouldn’t do themselves. The elements that define his aesthetic almost entirely relate to the pursue of static beauty, so as you can imagine, animation isn’t high in his list of priorities. It’s always been the lavish, shiny sceneries that made many people hold Shinkai’s work as visual accomplishments. Even this film, which is his strongest character piece as far as I’m concerned, might have been nothing more, nothing less, than a beautiful view. Presenting gorgeous if perhaps still worlds has always been more of a priority for Shinkai than populating them with life, as shown not only by the results but the tasks he chooses to undertake himself. If this movie serves as a door as well though, then maybe what it separates is past and future. And indeed, it’s in many ways a pivotal point that connects to a new Shinkai. Not in the sense that his philosophy has changed, but rather that he found the final piece in his puzzle: actual acting. Don’t take this as an argument that anime must by all means have constant intricate character motion. As far as I’m concerned, in a canvas like animation where everything can be expressed with the same naturality, it’s not as if constant life-like movement is needed — or perhaps even desirable, but that’s another debate. In fact, his focus on larger-than-life obstacles previously allowed him to get away rather well with relying almost entirely on environmental expression, because the cruel worlds getting in the way of the romance were characters themselves. But Your Name is a movie that requires acting on a conceptual level, as a project that started with the body swapping pitch to begin with. Evoking life in general wasn’t enough, the film needed the nuance to depict the different demeanors depending on who controls the main duo’s bodies. A live action equivalent with wooden actors would have never worked, so I believe this isn’t a fancy coat of paint but rather an integral element. And rather than being a one-off incident, all his newfound animation allies and the opportunities enabled by the massive success will allow him to portray wider and wider emotional registers. By broadening the scope some more, we can observe the film as a door leading to the future of the industry as a whole as well. 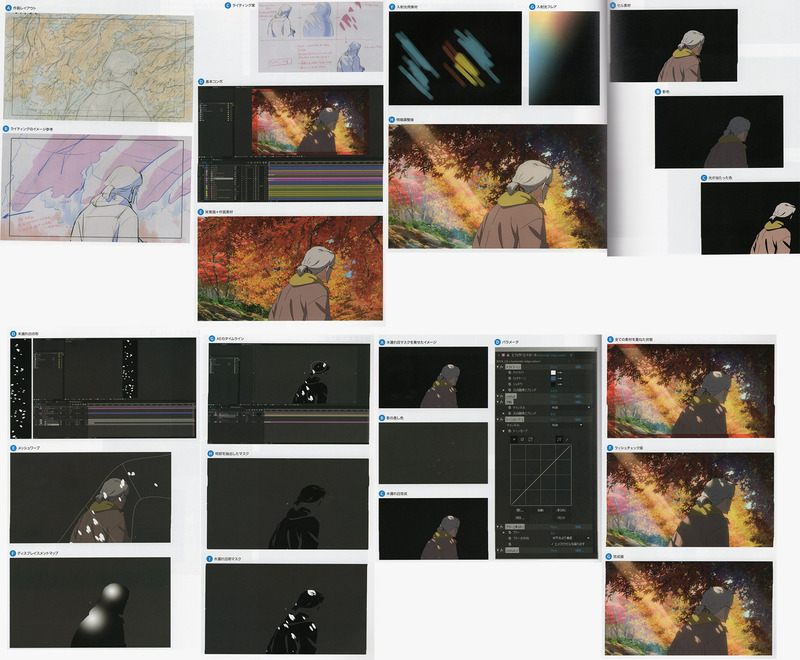 Its production embraced technological advancements since the very beginning, starting with the digital storyboards that were used as a basis to render a 3D simulation of the film. This isn’t something new for Shinkai, who has for years been willing to embrace new tech. Now it’s easy to look back on his 00s output and point out that his composite work hasn’t aged well, because it definitely hasn’t; depth of field nonsense, experimentation with the focus that randomly turned characters into ghosts, and lighting work that was…not quite aesthetically pleasing, let’s say. Context is of utmost importance, however: we’re talking about a time when digital compositing was a fairly tame process that had most creators simply focus on overlapping animation materials and filtering the lineart a little bit, and yet he was already getting more ambitious with the lighting and simulated lenses. More intricate photography efforts open up the chances to achieve striking visuals that were never possible before, but also enable new, spectacular ways to fail. Over the last few years, fans have been picking up on the increase of gaudy, obtrusive digital effects hitting anime like a digital curse. This phenomenon isn’t due to staff losing technical competence, but rather trying out more complex ideas that sometimes lead to unsatisfactory ends — especially under the cruel constraints of TV anime. The leading digital departments in this industry also suffered growing pains, but they’ve already left them behind partly because they got adventurous before the rest of the pack. And Shinkai, while having entirely different goals, deserves acknowledgement alongside individuals like Toshiyuki Tsuru and Mitsuo Iso for treading new digital ground for anime and eventually achieving solid results. Your Name’s maturity in this regard is immediately obvious, although the ways in which the composite improved this much are a bit more vague. 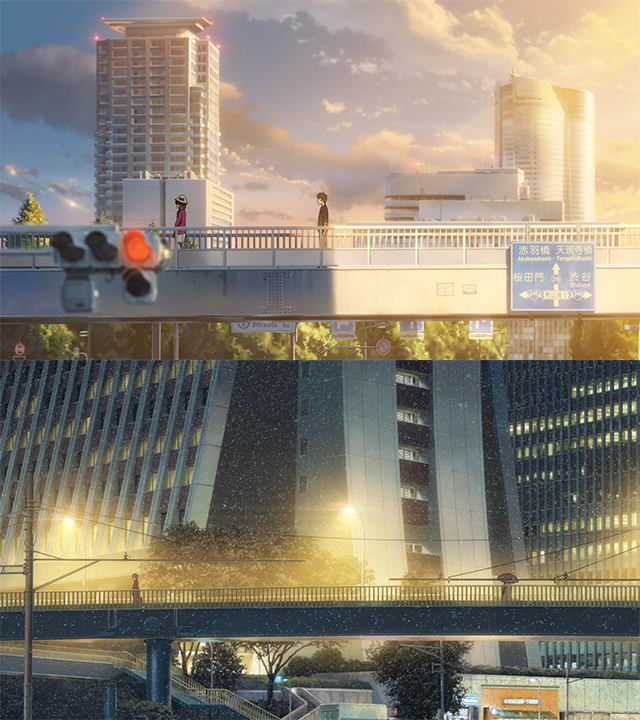 It’s undeniable that the increased restraint has helped, since the movie has a much cleaner aesthetic than Shinkai’s previous work that turned out to be very pleasant; this is particularly obvious when you compare it to his commercial Crossroad, which also sported beautiful, simple Masayoshi Tanaka but had a busier look to it because of the intensive postprocessing. Shinkai has also stepped down as the composite leader, instead trusting the freelance artist Hitomi Fukuzawa to command the photography crew — which he was still part of, since as I’ve mentioned earlier this is an aspect he’s very invested in. Claiming that they’ve simply scaled back their efforts and that it’s lost Shinkai’s personal flair would be misleading though, if not outright untrue. This is still an immensely intricate process — just look at all the effort that goes into individual shots — which even added new tricks to his repertoire, like the constant attempts to depict bodies blocking light. Shinkai’s flair is also pervasive, preserving the synergy with the art crew that is so obvious during closeups of background elements. Known techniques of his like the emulation of dust particles make a return as well. Many shots are instantly recognizable as his work through the effects alone, but the iterative improvement is just as clear. So rather than a timid step back, this feels like elegant sophistication. I mean this as kindly as possible, but anime’s budding digital departments tend to feel like overly excited children that are a bit too willing to press all the shiny buttons they have at their disposal now. 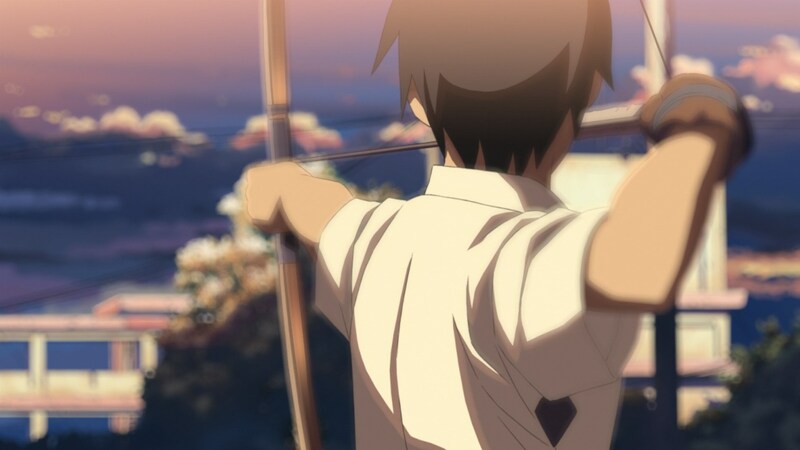 All projects like Your Name, especially if they’re lucky enough to become megahits, serve as positive goals for the many creators lagging behind. This isn’t me clinging to implausible hopes that it will become influential, as I’ve already seen digital creators analyze the effort that went into the film, thinking how to incorporate some techniques into their own output. Granted, this doesn’t always have fruitful consequences: I’ll never forget the artist who ironized about their client’s request to produce something that looked like Your Name with none of the resources that had available, presumably for a TV project. Outrageous demands aside though, I do believe that this film will push some digital crews in the right direction. The road from this to this was admittedly arduous, but presenting a solid, tangible target will hopefully ease the pain for the rest of the industry. And it’s the various influences that Your Name might have on the anime industry that serve as the final lens to examine the film. When you set all-time records it’s impossible not to leave a footprint, so no matter how humble your director tries to be, you’re going to cause changes. 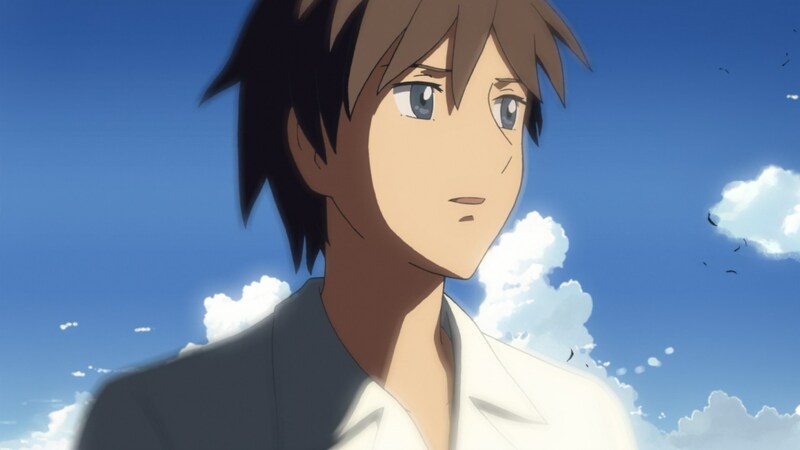 Anime’s gradual shift towards films was an ongoing phenomenon, and producers were already actively seeking original films ever since Ghibli paused their activities to try and claim the void that was created. TOHO, distributors of this film, were pushing particularly hard towards this direction…and now even more so, for understandable reasons. Creators that were confined to TV projects — hurry up and reveal that Rie Matsumoto film already, by the way — are now being granted big theatrical opportunities by their hand, as has happened to Nobuyuki Takeuchi at SHAFT. 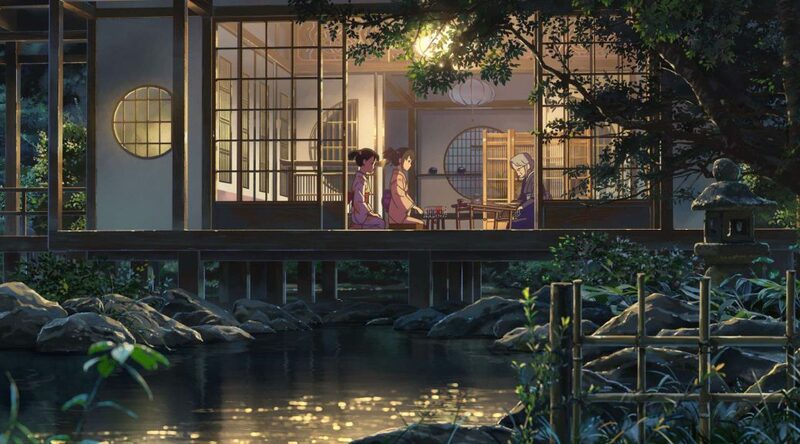 Even small-scale anime films are booming, since distributors have figured out their networks and movies are simply performing better than ever. The climate is positive, and the desire to land the next massive hit burns strong right now. Besides the effects that it might have on the market for what it achieved though, I’m interested in its repercussions for what it is. Leaving aside the family franchise films that by volume make up for most of the top grossing anime films, that space had for the longest time been dominated by very special creators. Directors like Mamoru Hosoda, Isao Takahata, and of course the one and only Hayao Miyazaki — people whose very construction of animation is fascinating, and who can take seemingly simple concepts like family and environmentalism and mold them into immensely rich films. 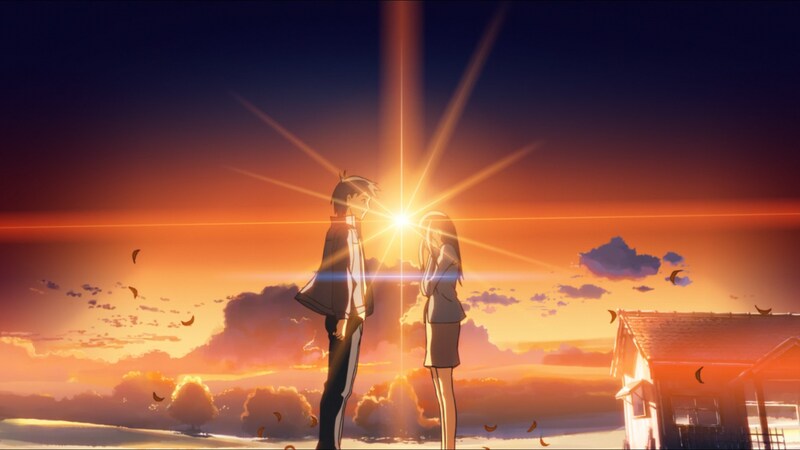 Even if you were to look at big anime films as a whole, you would only add fascinating madmen like Hideaki Anno and the fact that family franchises continually breed auteurs, from Keiichi Hara to Rie Matsumoto. 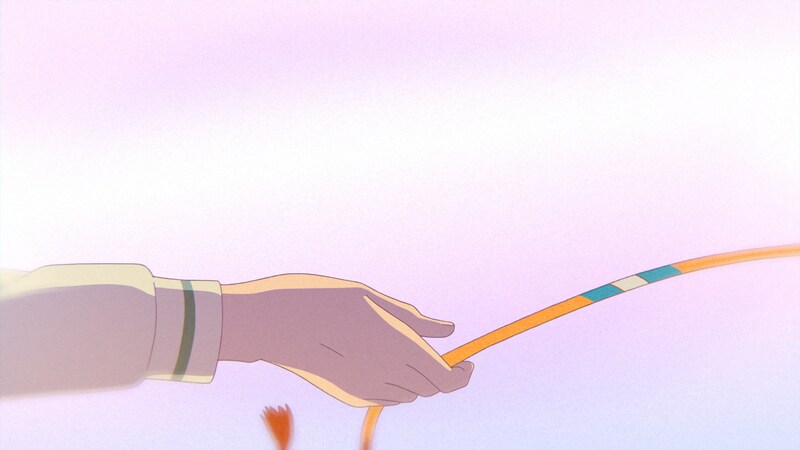 Shinkai’s earnest simplicity contrasts against most of them, and this highlights his shortcomings as well. His storyboarding in particular is very pedestrian, something that his editing prowess can’t always hide. 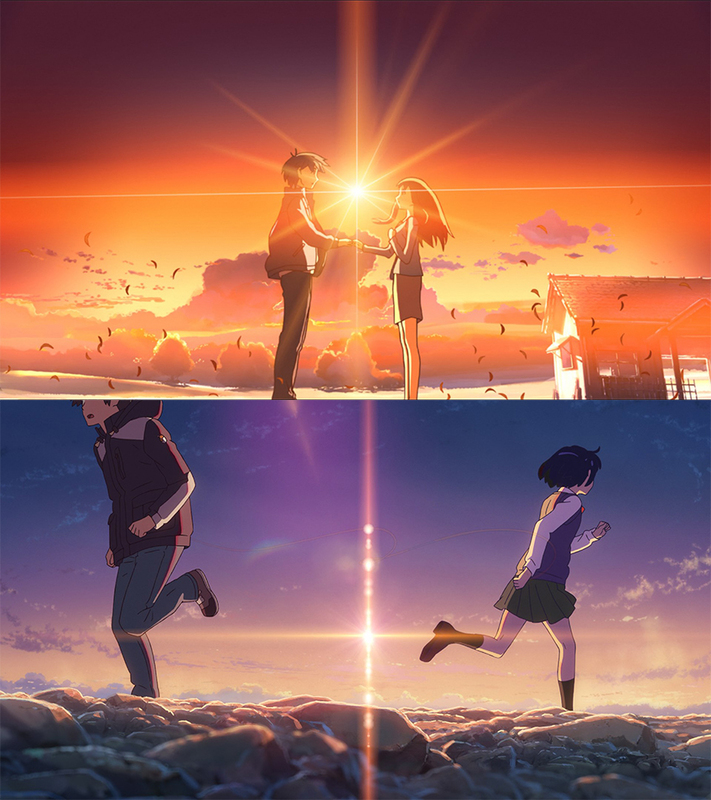 The way he framed Mitsuha and Taki trying to connect through time in arguably the film’s most important scene pales in comparison to how Hosoda edited space for a rather inconsequential moment in The Boy and the Beast, with the protagonist getting lost in a magical maze. 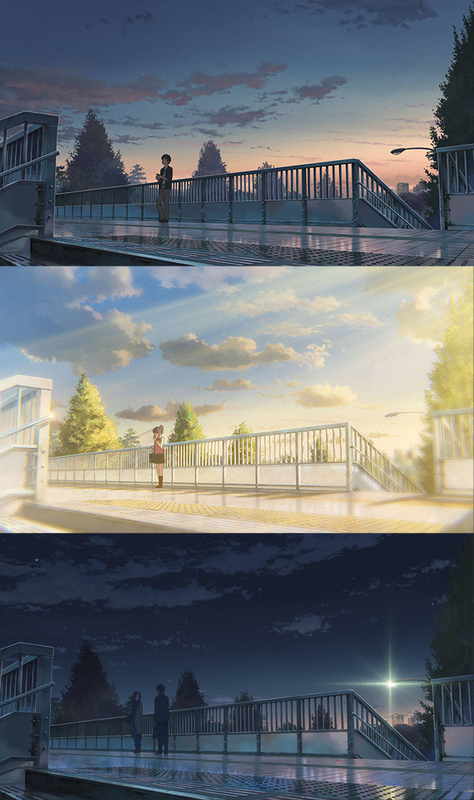 It’s no coincidence that when fans share their favorite shots from Shinkai films, it tends to be gorgeous backgrounds; Your Name addressed his previous shortcomings when it came to the animation, but his sense for scene composition is still not all that impressive. If this sounds like too harsh of an assessment, simply go listen to Shinkai himself. His aggressive modesty over Your Name’s immense success, outright telling people to stop watching it at some point, didn’t feel like a calculated attempt to make the phenomenon go even more viral; this is such an honest movie that I have no reason to believe that the director’s comments are insincere, and they do line up with his general views on animation. When prompted about recent anime he’s enjoyed — not always a great question since directors tend to be too preoccupied while working to watch other stuff — he’s repeatedly brought up Koe no Katachi. And more precisely, Naoko Yamada’s flair that he’s always been enamored with; “The kind of elegant direction that makes people want to copy it, but they can’t” is a transparent take and lets you see how he really feels. Shinkai admires directors with a special touch that he seems aware he doesn’t have. But all things said…does it actually matter? Do we need the industry’s leading voice to abide by established canons of cinematic goodness? I’m not all that interested in providing answers to this, though as you can imagine I strongly lean towards no. As much as I appreciate inventive craft, I don’t think it’s a strict requirement to become a worthwhile work, especially if your standards for animation achievements are very traditional. 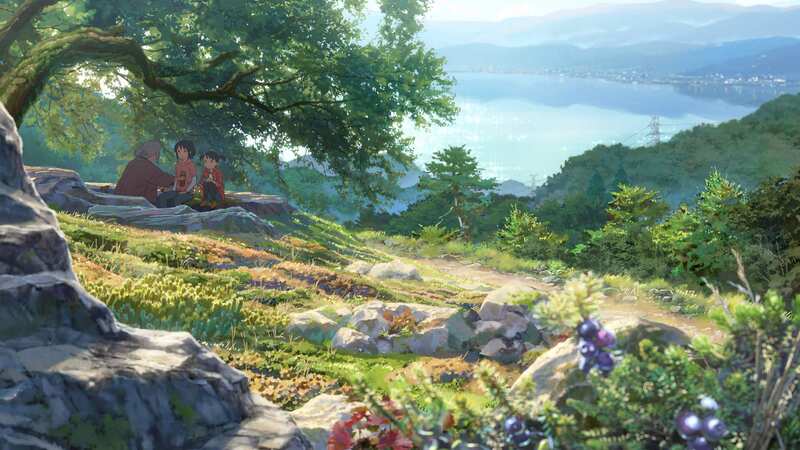 I unfavorably compared a scene in Your Name to The Boy and the Beast, but despite Hosoda’s clearly stronger storyboarding skills, I still think the latter is a bit of a disaster. And perhaps more importantly, that moment in Your Name was still touching and offered plenty of draftsmanship goodness in other aspects. Hosoda himself expressed some concerns about more commercial works intruding on the theatrical anime space (though he was explicitly referring to films related to existing TV series), but I don’t think we’re at any real risk of movies being dumbed down by a new wave of creators inspired by Shinkai and his massive success. If the new theatrical overlord happens to make easy to digest romance movies openly aimed at the youngsters of today, then so be it. Anime isn’t going to crumble under his influence, especially if the message other creators get is to stick to what you love. I definitely won’t be the one to deny the earnestness of Your Name and ignore the myriad of excellent details that made it click for so many people. The door doesn’t seem to lead to a bad future. The strength of each post from the writers here at SakugaBlog make predictions and guess seem fact because of the possession of a vast array of knowledge of the industry and the technical work behind the anime. I was joking about this with other blog writers, but it really feels easier to find neat evocative shots in random unspectacular TV episodes than in an entire, very well put together film like this. If Shinkai has room for growth it’s definitely on the storyboarding department. The official western title just doesn’t have it, yeah. For stylistic reasons I suppose.